Friday night sees the arrival of our mobile wood fired oven at Digbeth Dining Club, where we’ll be cooking up some authentic wood fired pizza. Creamy goat’s cheese, rainbow chard and smokin’ hot red onion chutney. It all started last week when all of a sudden the rainbow chard on the farm showed its colours. Having cooked up this beautiful leafy green and vibrant vegetable we knew it had to go on a pizza. The question was, with what? 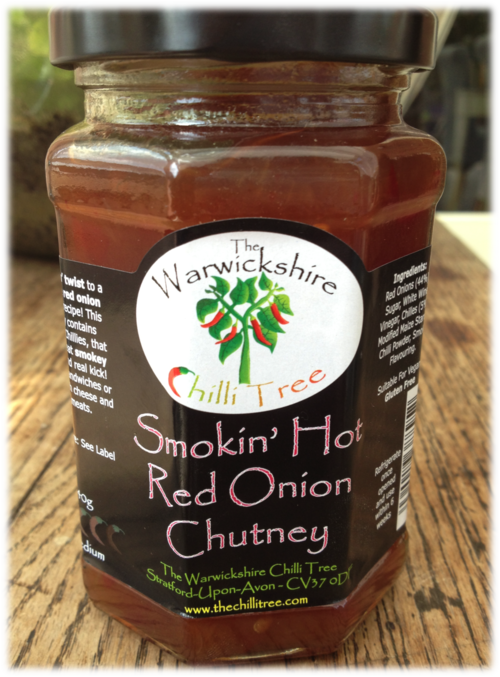 As luck would have it this week we came across an exciting new foodie start up in our home town of Stratford upon Avon: The Warwickshire Chilli Tree. Started by Ash and driven by his love of chillis we knew we had to try his wares. Good job we did, because the chutney is amazing. With a perfect balance of spice, sweetness and smokiness it provides the perfect accompaniment to our goat’s cheese and chard pizza! Severn Spots chorizo and roquito peppers. Shredded Shropshire BBQ chicken, red onion and corriander. And we couldn’t really do pizza without the Classic Margherita making an appearance!